Nancy Hightower has written essays on spirituality and politics, as well as the #MeToo movement. Her essays, fiction, and poetry has appeared in journals such as Joyland, Entropy, Vol. 1 Brooklyn storySouth, Sundog Lit, and Sojourners, among others. Her debut novel, Elementarí Rising (2013) received a starred review in Library Journal and was chosen as Debut of the Month. Her poetry collection The Acolyte (Port Yonder Press, 2015) offers a feminist interpretation of biblical narratives, and she is currently working on a memoir about growing up in the evangelical South. She helps curate readings at St. Peters Presents and is on the board of directors for Epiphany Magazine. 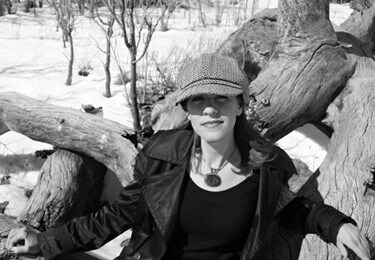 On the academic side, she received a PhD in English/Creative Writing from the University of Denver and taught the rhetorics of the fantastic, uncanny, and grotesque in art and literature at the University of Colorado and went on to be the art columnist for Jeff and Ann VanderMeer’s Weird Fiction Review. She currently teaches classes on science fiction, digital storytelling, literary studies, and American Literature at Hunter College in New York City.